When you need a more robust web and search solution, including multi-label, members, and multi-language support, you need Harvest Pro. 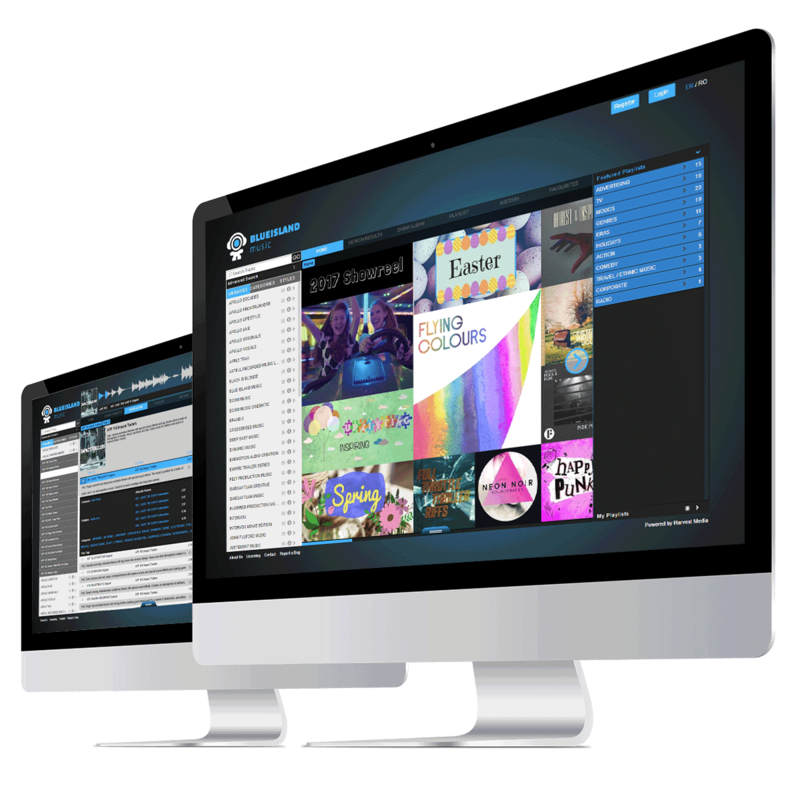 Designed for businesses with larger repertoires who need sophisticated search, download, and sharing tools backed by a robust flexible platform. Designed for businesses with significant content that want to give their users multiple ways to find the perfect track. Build your regions and use our built-in GeoIP to make sure your users see the right catalogues and content before they login. Brand every aspect of your search, including emails, templates, domains, and more. Predictive search autofills suggestions as users type. Leading them to album or track names, keywords, styles, genres, and more. Harvest Pro supports multi-lingual content and can deliver specific content to distinct territories in their language. Allow your users to create, download, and manage custom playlists. All they have to do is drag and drop. Monitor and manage how users interact with your content. 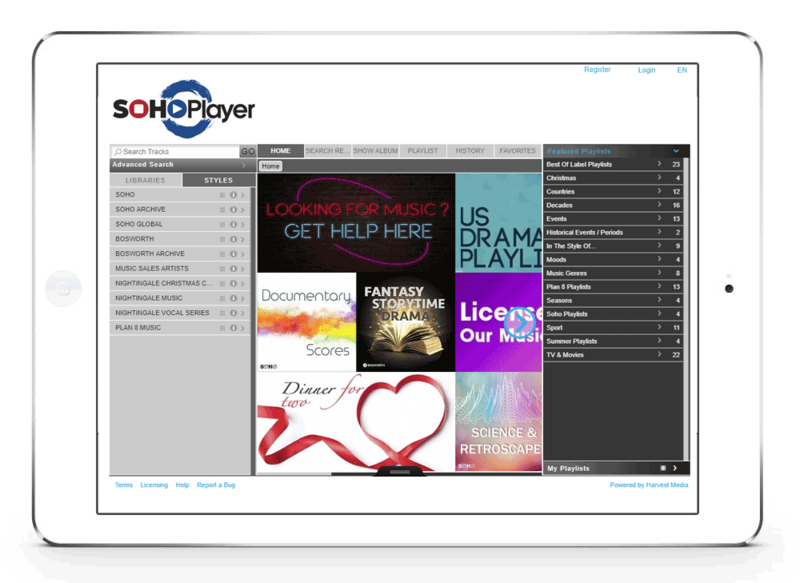 Control access to catalogues, downloads, auditions, or even your entire site. Adjust the size and placement of visual elements, including album covers, playlist artwork, video panels, text content, and links. Use simple automations to increase efficiency and save time on administration. Tailor your member management needs to your player with groups, regions and auto-approval rules. Create custom playlists for specified users with download and usage rules ready to go. Connect with Google Analytics to track and report on your traffic. Harvest Pro gives you more control over your homepage. It’s easier than ever to adjust the size and placement of visual elements, including album covers, playlist artwork, video panels, text content, and links. But if you still need more options, you can also make your own changes to the code. Harvest Pro is your worldwide music solution. Harvest Pro has the tools you need to connect with users around the where. No matter what language they speak. Your Pro players and sites can be multi-lingual and you can deliver specific content to distinct territories in their language. And Pro’s multi-lingual functions cover more than just basic site text and UI elements. It also covers keywords, styles, categories, playlist names, and more. Contact us to find out how this powerful tool can work for your business. Harvest Pro is versatile. It can be the backbone of your presence on the web. Or it can complement your existing sites. If you’re using Pro as a standalone player, you can redirect the link in the logo to go back to your site. Or you can embed the Pro player into your existing site. Pro connects easily with sites built on most platforms, including Wix and WordPress. And you can use our API to build custom widgets covering a host of different integrations, from search, to user accounts, to featured content. 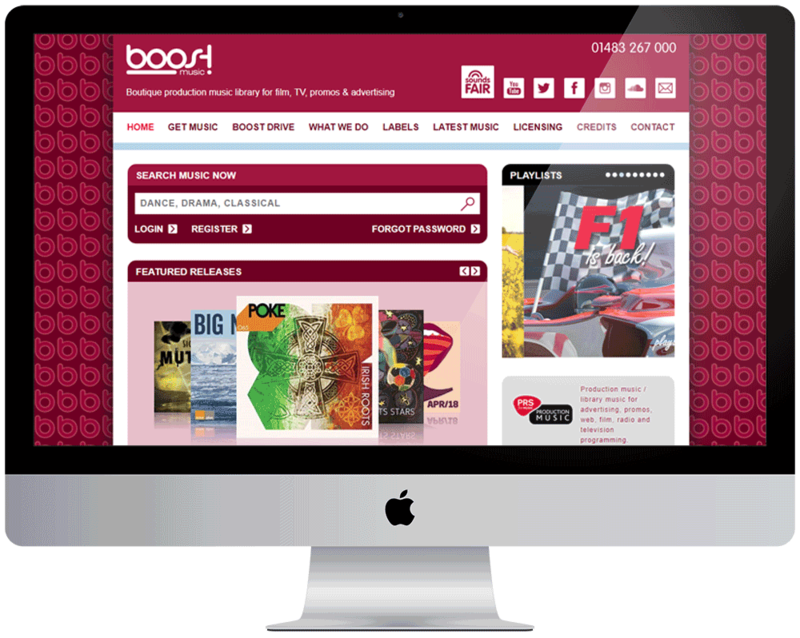 You can even tie your online advertising to Pro to help you promote your music across the web and social media.